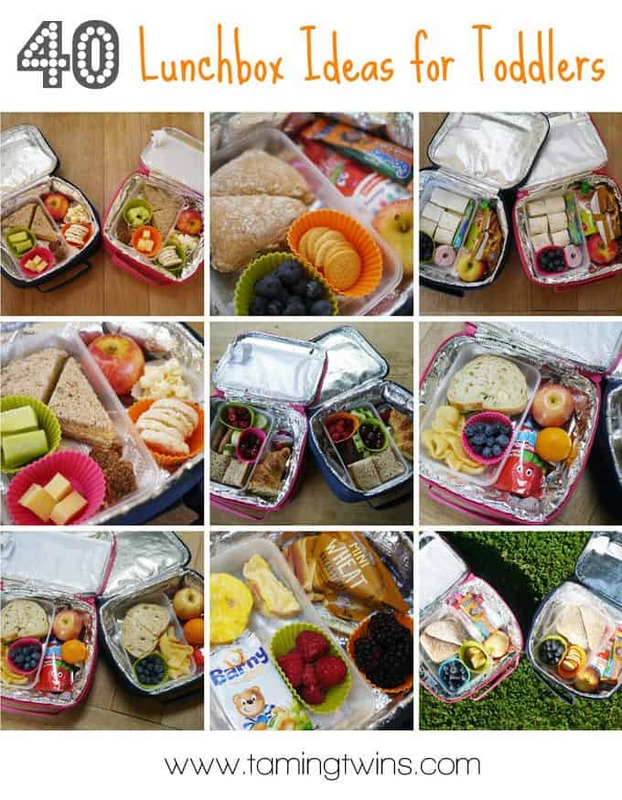 40 Lunchbox Ideas for Toddler Children - Inspiration for every day! 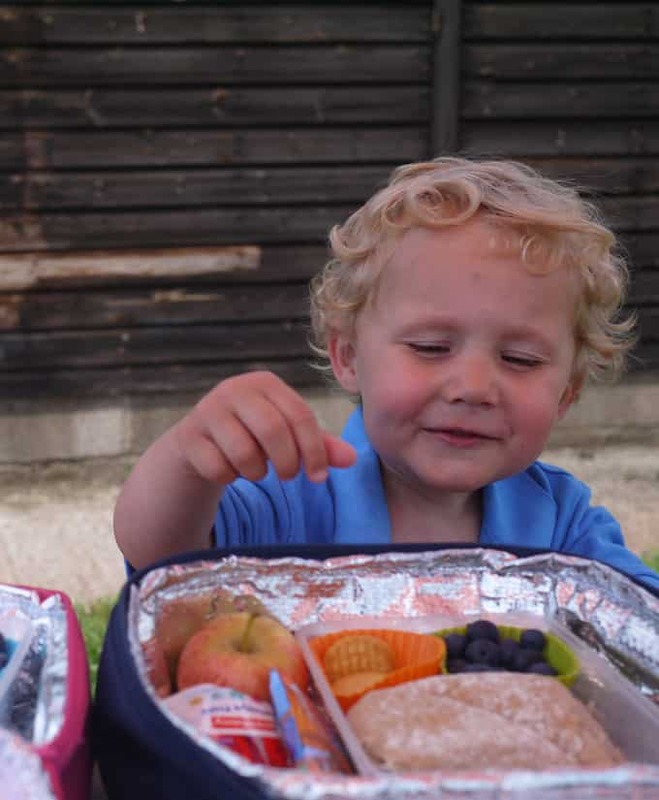 This has been the summer that I’ve learned to make an excellent packed lunch for my toddler children! 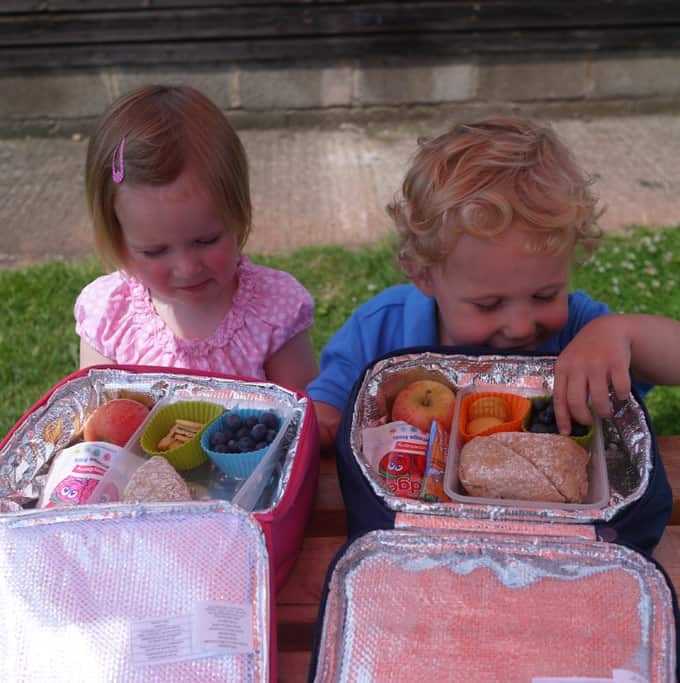 I realised early on in being a twin toddler Mum that mini picnic lunches for days out have a lot of advantages. Money saving, no waiting around for food to arrive with a pack of angry toddlers waiting and often more healthy than the choices in restaurants (they wouldn’t complain about fishfingers and chips EVERY meal but I’m not sure that’s the best choice for a varied diet). I use plastic take-away containers (that I buy on Amazon to use for freezer meals) to keep sandwiches safe. I also use some silicone muffin cases to keep little fruits and bits and bobs separate. 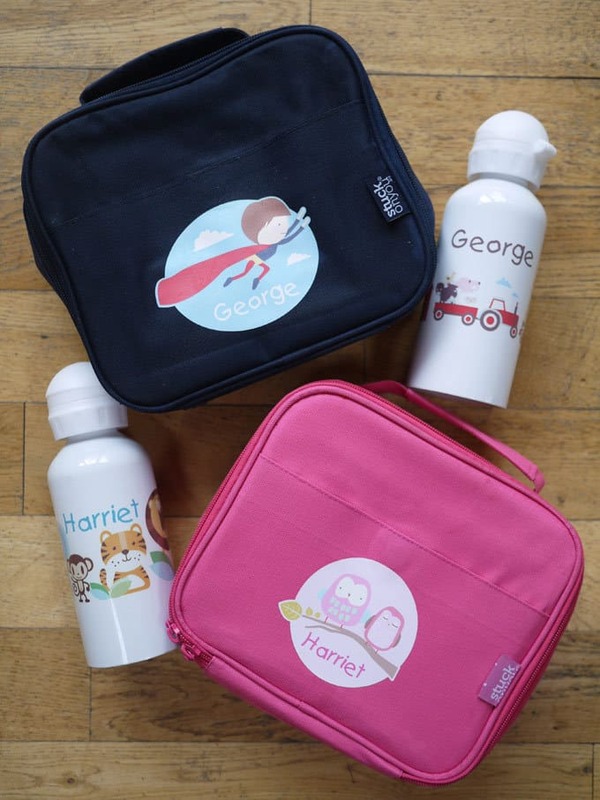 These lunchbox sets are from a company called Stuck on You. 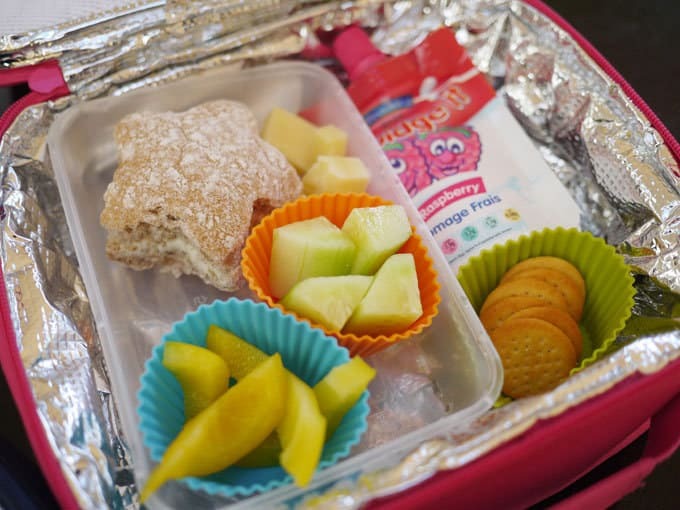 Trying to keep the lunchbox picnics varied has kept me on my toes, here’s some suggestions that work for me and don’t require a cupboard full of strange equipment or ingredients..
Sandwiches cut into shapes using cookie cutters. Mini omelettes made in muffin tins and cooled. Cold pasta with sauce or pesto. Wraps sandwiched with fillings and cut into triangles. Pots of hummus with vegetable sticks to dip. Pots of ‘tinned’ peaches or pears. I hope you found our list useful. 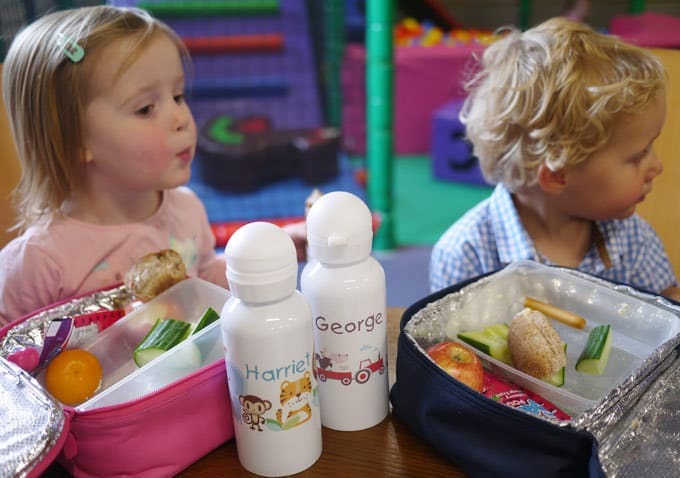 What would you add and what’s your favourite toddler lunchbox idea? Some great ideas. Also made me really hungry reading it! fab list I’m always looking for some new ideas for lunch, little bit gutted i missed your comp those lunch boxes are awesome!!!! Fantastic sum up post with tones of great options! 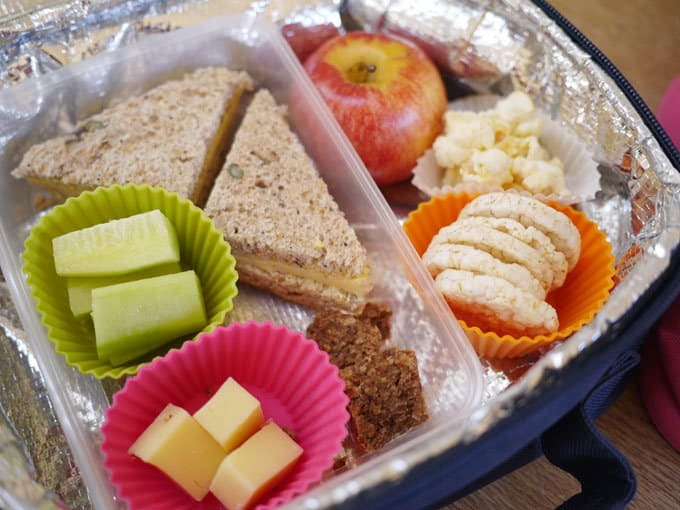 It’s easy to forget that there are SO MANY other things that can go in a lunch box! Love this, thank you (and how cute are your kids?)?. My 7 and 3yr old love Barney bear cakes too, as a special treat (check out the sugar on the ingredients list, they’re anything but healthy!). If yours aren’t allergic to nuts, try Nak’d bars either whole or cut into little chunks. My picky 7yr old loves their Cocoa Delight (tastes just like a brownie!) and my 3yt old prefers the Cashew Cookie one. Ahhh that’s lovely to hear – thank you! !